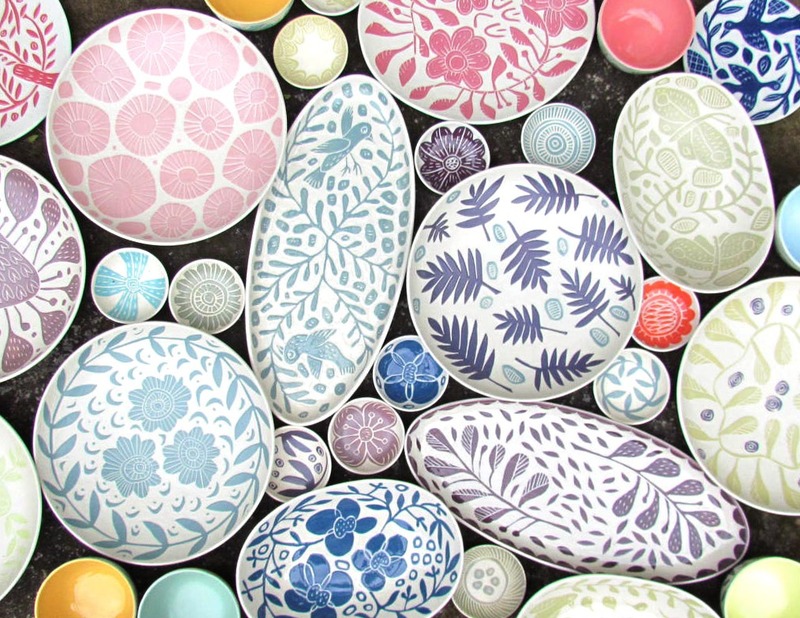 Australian textile designer and weaver Dimity Kidston has brought her skills for producing unique and decorative tapestry to the art of ceramics. Dimity has a passion for objects, whether textile or ceramic, to be both beautiful and functional. Her current work is inspired by traditional Balinese wood carving and batik, the bright, colourful designs are carved on to the clay using a scraffito technique. 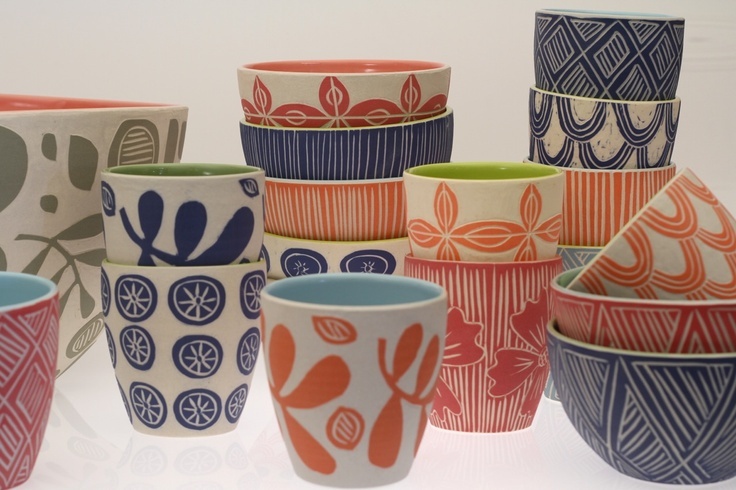 The motifs she uses in her ceramics are naïve, bold and contemporary. A hand-made aesthetic is central to her work, and as each piece is individually carved, no two pieces are the same. Dimity Kidston has had a long association with decorative objects and art. Growing up in a creative family in rural Australia her passion for beauty and form was nurtured from an early age. She studied textiles and ceramics at the Australian National University, where her interest in traditional weaving and tapestry was further developed. In 199? she completed her honours year at the Duncan of Jordanstone College of Art, Dundee, Scotland – a centre of excellence for traditional weaving.